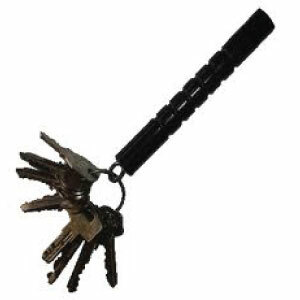 Visualize a standard sized “magic marker” attached to your key ring! A Kubotan® provides a wonderful “GRIP” for emotional control when you are afraid. In a desperate life-saving act, either end of the Kubotan® serves as a valuable weapon to strike an attacker. Simple instructions included. Taxes, shipping and handling are covered in the price.